Theses turtles have become a part of my Danish Christmas celebration here in America. My sweet sweet neighbor gave me a tin of these every Christmas. I do not think Christmas woulds be the same without Pretzel turtles. Last year I was so recklees to move away from my sweet neighbors, and not only do I have to miss them, but I also have to miss out on this special Christmas Treat. Now I had to learn to make them by my self. My version is with pecans only. They are nearly as good, they just need the sprinkle of Bobbie magic. Love you Bobbie. Preheat oven to 300℉ (150℃) degrees. Line an 18 by 13-inch baking sheet with parchment paper. 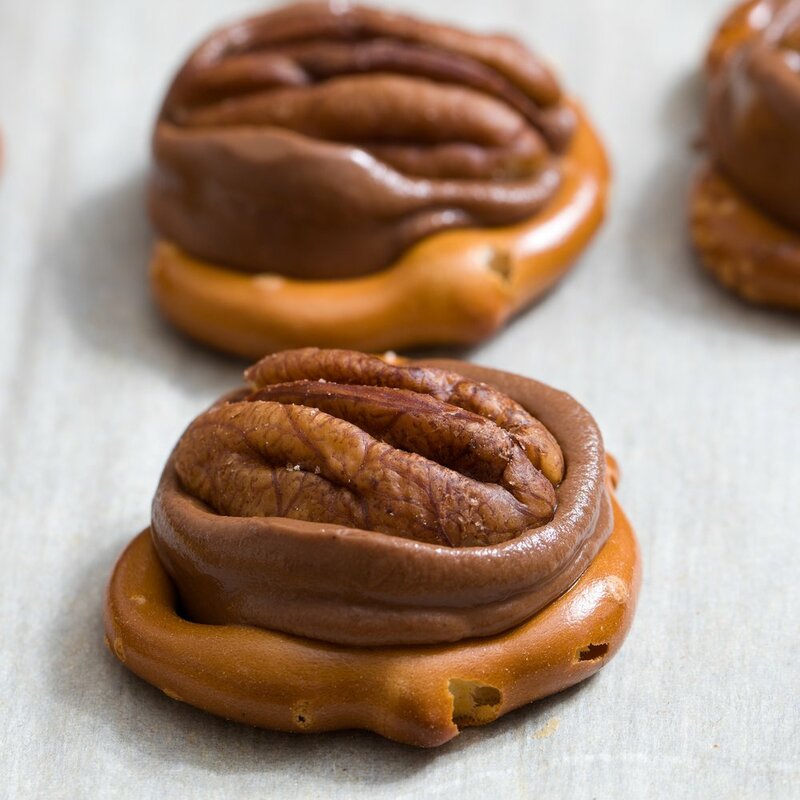 Lay pretzels in a single layer on baking sheet then place one Rolo candy in the center of each pretzel. Warm in preheated oven just until chocolate and caramel have softened, about 4 minutes. Remove from oven then press 1 pecan into each rolo candy. Transfer baking sheet to refrigerator and chill until chocolate has set. Store in an airtight container at room temperature (preferably in a single layer - the chocolate softens up just a little at room temperature).